It was February retreat weekend, and instead of being at the retreat in MN with all the ladies, I was in Scottsdale, AZ for work. I’m not going to lie, the 87° weather was pretty darn great, but I did miss having the weekend dedicated to sewing projects. There was quilty mail waiting for me upon my return home, the fabrics I’m going to attempt to use for the Sloan Travel Bag (Sew Sweetness) that Gret & I are going to make in a few weeks. 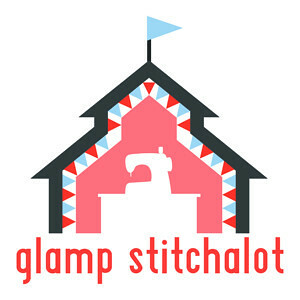 We’re doing a hosted weekend through Stitch Supply Company in March and Sara will be there to walk us through the bags. I’m excited to make the bags, but a little intimidated, too. I’m sure we’ll be just fine! The red and two greys are linen blends and I’ve never worked with them before, so I’m hoping I don’t run into any challenges. 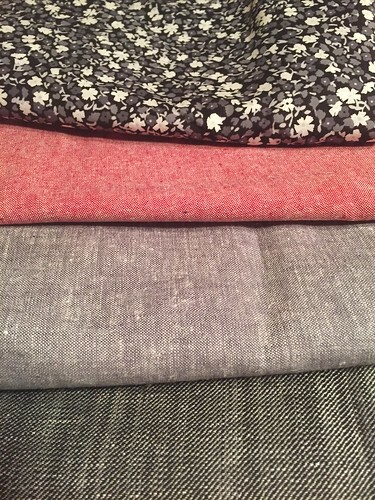 Does anyone have any hints for me on these types of fabric? In addition to the Sloan Travel Bag, we’re making the Crimson and Clover train cases. I have my fabric for that already – some prints from Vanessa Christenson Simply Colorful II line. I need to spend some time cutting everything out. I’m sure that will be quite a project in itself! The Pink One was extra cuddly tonight because she doesn’t feel good. 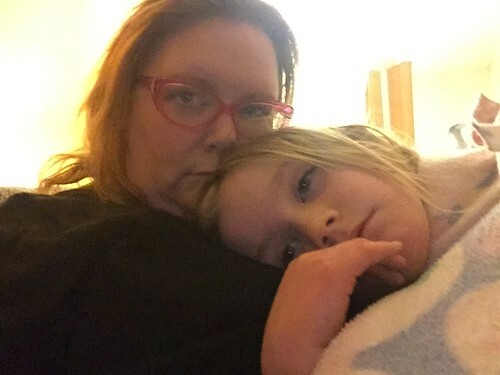 Breaks a mama’s heart when her babies aren’t feeling well! I’m linking up to Molli Sparkles tonight, although for some reason I can’t get his darn button to work. Boo! 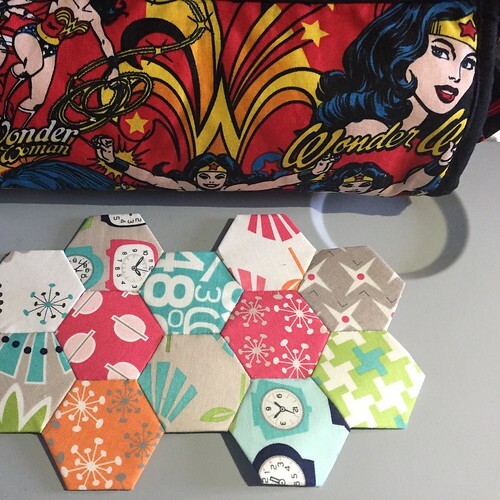 This entry was posted in Quilts and tagged kaufman fabric, kaufman linen blend, sew sweetness, V and Co, Vanessa Christenson. Bookmark the permalink. Yeah, I can’t figure it out either and it is driving me crazy! Great fabric! The linens are beautiful.